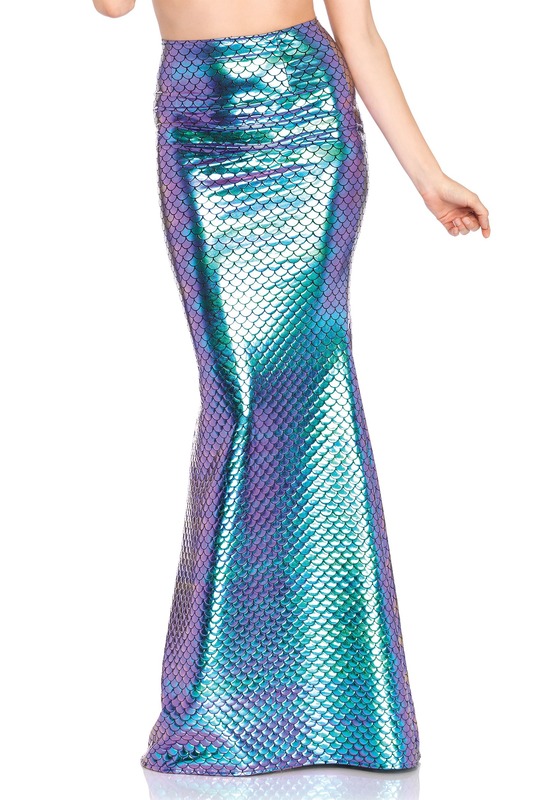 Being a mermaid might seem quite glamorous, but having a REAL mermaid tail might actually be inconvenient. After all, t’s not all just singing with talking crabs! Just think about it for a second. You’d be limited to only attending costume parties with pools and you’d never be able to take a walk through the park. But there must be some way for you to get that classic shiny scale look of a mermaid tail without having to endure the inconveniences of actually having a fish tail. 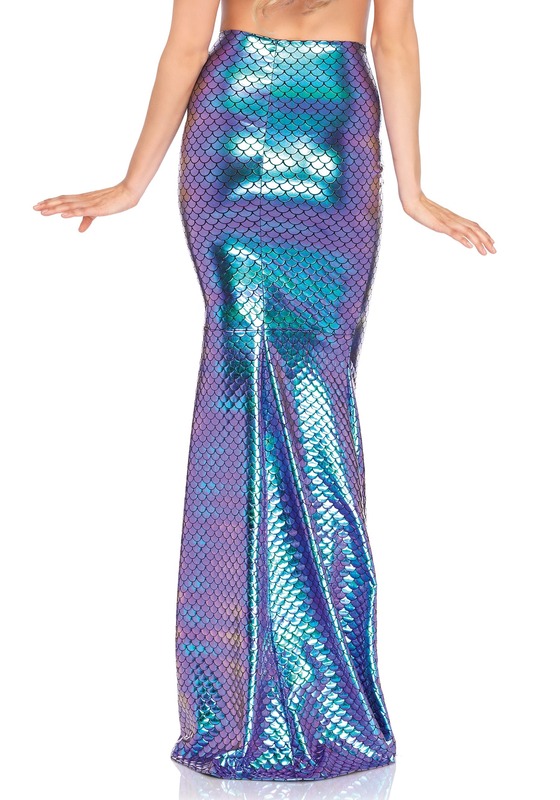 This deluxe mermaid tail brings you a skirt that makes your legs look just like an elegant mermaid tail, but you can still enjoy the benefits of having legs! The skirt has a form fit style and has a shiny, glimmering exterior. It pairs well with many of our mermaid costumes and accessories and it’s sure to give you the seafaring look you’ve been searching for.